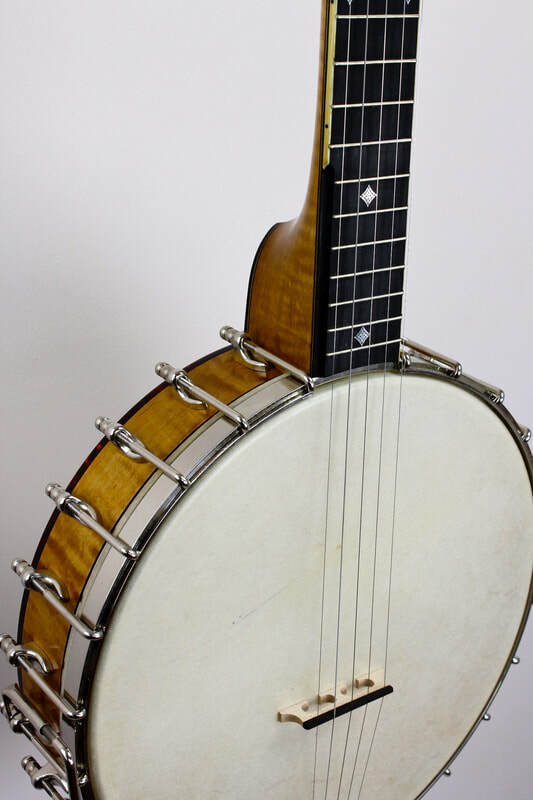 The pioneer batch is a special run of banjos based on late 1800s Fairbanks and Cole Eclipse designs. Check back for images and progress along the way. 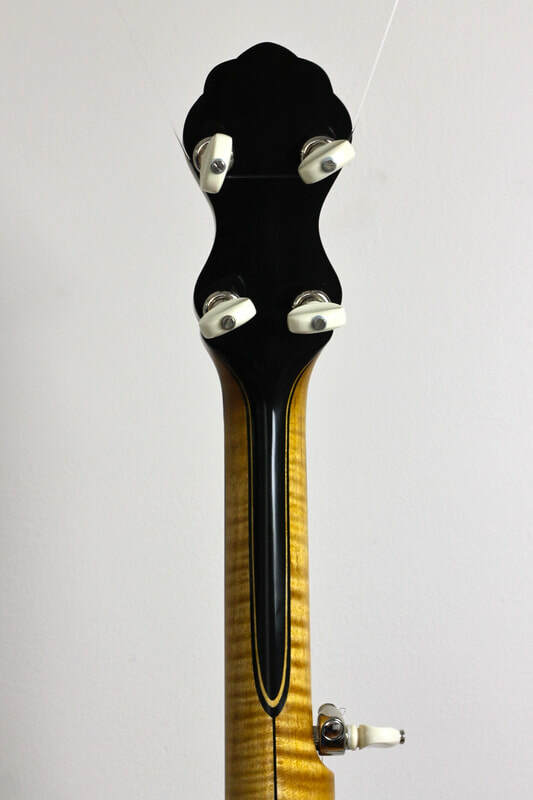 Thumb scoop (A); Secret star heel cap inlay and rim hardware (B). Stick and name plate (A); 5th string tuner (B). Backstrap, ivoroid binding, ABM tuners.